A Hindu UKIP member has suffered racist abuse for calling Britain a “Christian country”. 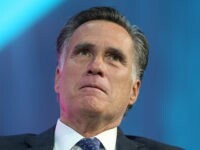 But rather than defending him from racial slurs, left wing Twitter users joined in by mocking him further. 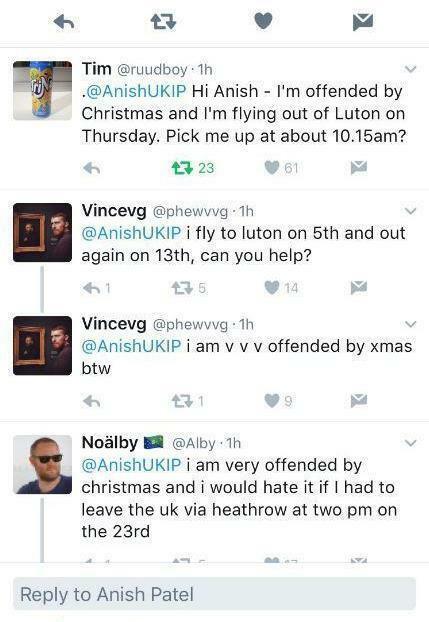 Anish Patel, an active UKIP member and practising Hindu took to the social networking platform to defend Britain’s Christian heritage, rounding off with offering to drive anyone who was “offended by Christmas” to the airport. But Mrs. May’s attitude was not shared by Twitter users, who rounded on Patel. 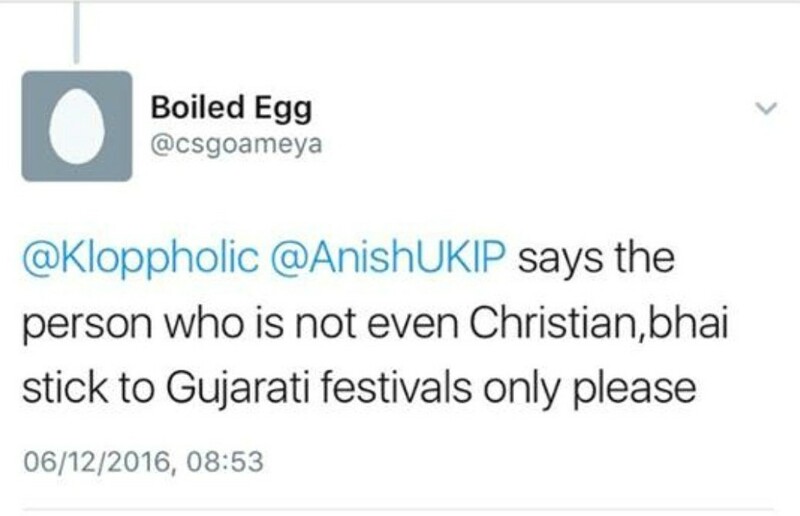 He was called a “coconut” — a racial epithet hurled at people of immigrant backgrounds who have successfully integrated — and was told to “stick to Gujurati festivals only”, even bring called a “kutta”, a derogatory slang word meaning “dog”. 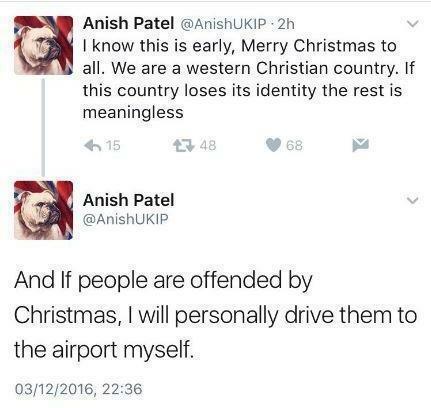 Meanwhile, leftist Twitter users were trolling Patel by claiming to be “offended” by Christmas in order to get a lift to the airport. 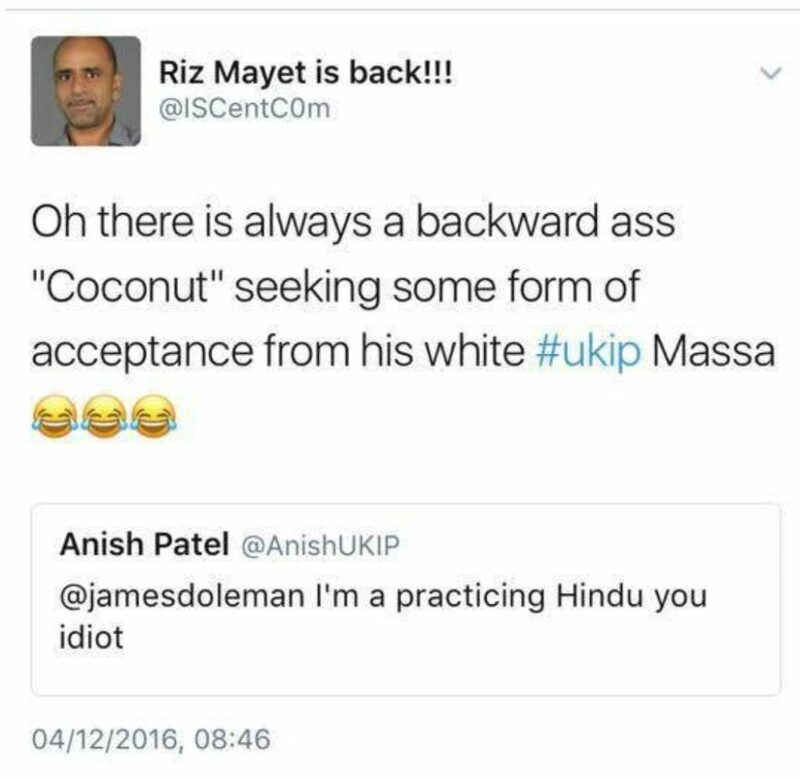 Indy100, an offshoot of the Independent, also joined in the ‘joke’ by reporting the mockery and ignoring the racism hurled at Patel. 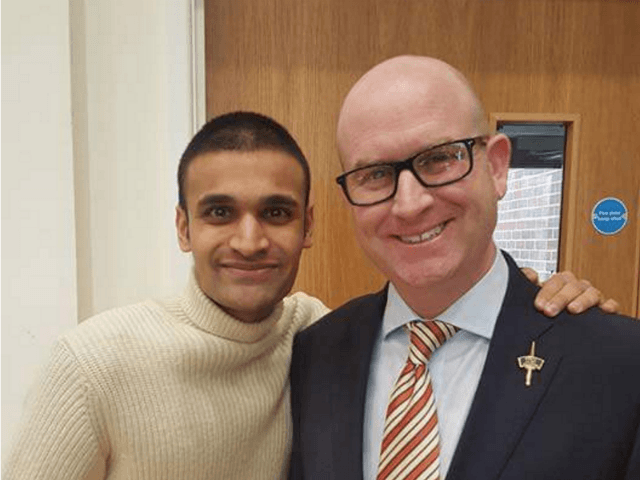 Patel told Breitbart London: “I’m proud to be a small part of Britain’s only truly patriotic political party, that believes in standing up for our western culture & heritage, build on Christianity. 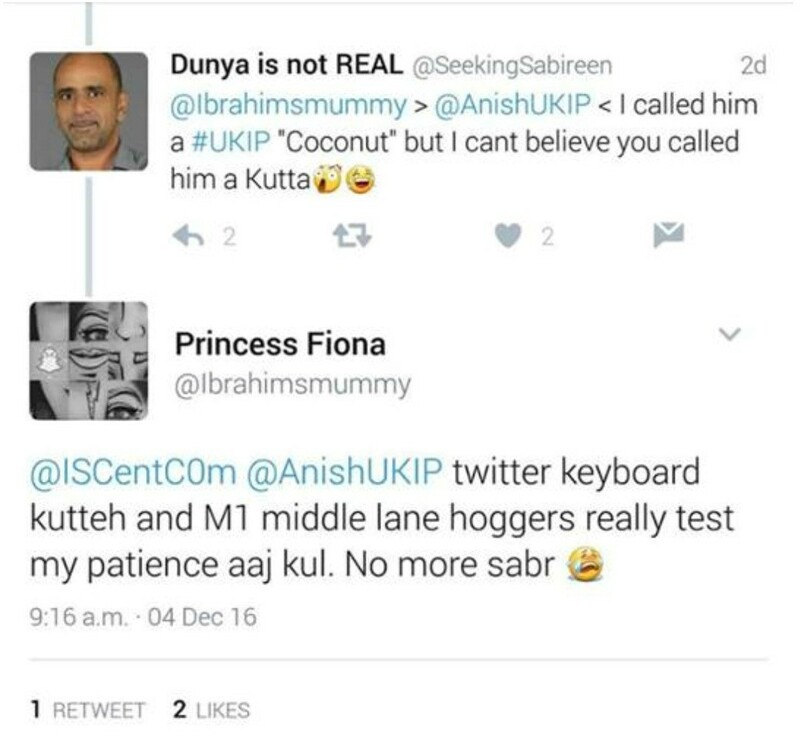 “The left are utterly incapable of comprehending the fact that someone for an immigrant background has actually bothered to assimilate. “And the greatest irony of all, was that once I temporarily put my account on private, I received well over 200 follow requests with 24 hours”.